The Samartians were a large confederation that existed in classical antiquity, and flourished from approximately the 5th century BC to the 4th century AD. Their origins are to be found in the central parts of the Euroasian Steppe. Around the 4th century BC, they started migrating westwards. Around they first century AD, the territory referred to as Sarmatia by Greco-Roman ethnographers extended from the River Vistula to the delta of the River Danube and eastward to the River Volga, bordering the shores of both the Black sea and the Caspian one, and reaching the Caucasus to the south. Examples of modern-day places that wholly or partially fall within the borders of the old Sarmatian territory are the south-eastern and central parts of Ukraine, parts of southern Russia and along the Volga, southern Ural, some smaller parts of north-eastern Balkans, and around Moldova. During the first century AD, the Sarmatians had spread so far that they begun encroaching on territories held by Germanic tribes who were allies of the Roman Empire. According to descriptions from Greek sources, the Sarmatians were of a Caucasoid appearance and had blonde to reddish hair. “Nearly all the Alani are men of great stature and beauty, their hair is somewhat yellow, their eyes are frighteningly fierce”. Roman historian Ammianus Marcellinus (circa 330-395 AD) describes the Alans, a group of Sarmatian tribes. Later studies based on the skeletons of Sarmatian noblemen show that they often reached 170-180 cm in height. In the third century, Germanic Goths invaded the Pontic Steppe, putting a major dent in the Sarmatian dominance of the region. In the 4th century, many Sarmatians joined the Goths and other Germanic tribes in the grabbing of lands in the now collapsing Western Roman Empire. Data from the fifth century show that the land between the Ural Mountains and the River Don was still controlled by Sarmatians. Eventually, over many generations, the Sarmatians blended with the Proto-Slavic population of Eastern Europe and seized to exist as a distinct people. According to Greek sources, including Hippocrates and Herodotus, Sarmatian women participated in warfare. There also also some sources that claim that the Sarmatians cauterized the right breast of their little girls to prevent it from developing. Of course, how much of those stories that are actually true and how much that is fable or misunderstandings is difficult to know, since we lack archaeological evidence to confirm or repute the claim. 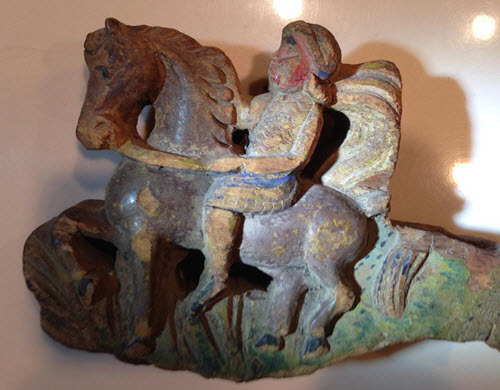 What we do have is archaeological evidence that show that a large percentage of excavated Sarmatian military burials include armed Sarmatian women, and that they occupy central positions in the grave and are buried with objects that indicate that they were rich. According to Greek historian Herodotus (c. 484 – c. 425 BC), the Sarmatians hailed from Amazons who had mated with Scythian males, and the female Sarmatians “have continued from that day to the present to observe their ancient [Amazon] customs, frequently hunting on horseback with their husbands; in war taking the field; and wearing the very same dress as the men“. Herodotus also claimed that Sarmatian women did not marry until they had killed a man in battle. The Sauromatians lived east of the Scythians and were considered a kindred tribe. Researcher K.F. Smirnov suggests that the Sauromatian culture of the 6th – 4th century BC was the amalgamation of the Timber Grace culture of the Volga River region and the Andronovo culture of the southern Ural Steppe. 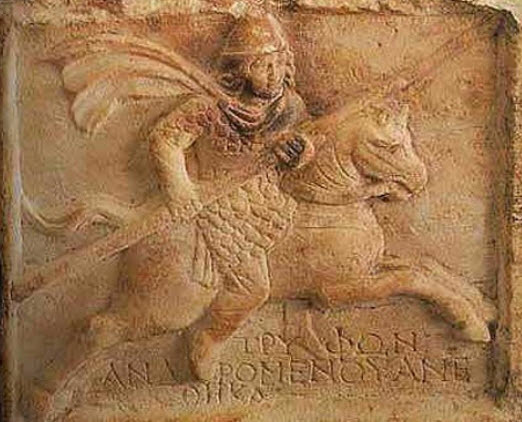 The oldest Greek mentionings of a Sarmatian or Sirmatian culture are from the fourth, third and second century BC, when this culture is described by authors such as Eudoxus from Knidos, (Pseudo) Scylax, Heraclides Ponticus, and Theophrastus from Eresos. According to more modern researchers, the early Sauro-Sarmatian- Prokhorovskaya culture probably developed as a result of various population groups migrating from northwestern Kazakhstan, the Aral Sea region, and the forest-steppe of Trans-Ural. During the fourth century BC, individual Sarmatian groups reached the lower Volga River regions, lands that were the dominated by the Sauromatians. From that point and through the second century BC, large numbers of migrating people from the steppes of southern Ural moved westward to the lower Don River and Kuban Rivan regions, where they absorbed the local Sauromatian peoples. 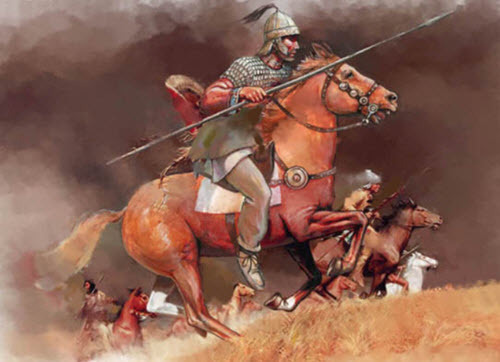 New and powerful Sarmatian tribes emerged during the third century BC. We know them as the Alans, the Aorsi, the Roxolani, and the Iazyges, and they all moved westward, eventually conquering the Scythians north of the Black Sea. According to the encyclopedia “Geographica”, written by Strabo, a Roman citizen of Greek descent, the Iazyges settled between the rivers Don and Dnieper in the second century BC, while the Roxolani took to the steppes of the Black Sea region, from where they could carry out raids on the Taurida of Crimea. By the mid-first century BC, he Roxolani had expanded westward around the River Donau. By now, they were considered a treat to the eastern provinces of Rome. The Sauro-Sarmatians believed in personified gods, including a Sky god, a Fire god and an Earth god, as well as a War god and a Hearth god. Their religious practices seem to have been in line with those of other clan-tribal nomadic peoples inhabiting pre-Zoroastrian Iran. Excavated Sauro-Sarmatian graves tend to contain a lot of attack weapons. Significant social stratification seems to have been present, since some burial sites are much richer than others. The emergence of classes withing this nomadic culture was probably accelerated by their exposure to Greek and Roman practices. The Middle Sarmatian culture developed on the steppes of Euroasia, in an area stretching from the River Donau to the steppes of southern Ural. During this epoch, the population size in the region dropped dramatically, due to a combination of climate change in southern Ural and migration westward and to the south-east. One of the most striking traits of the Late Sarmatian culture is the intentional deformation of the cranium of the infant to make the skull more elongated. Exactly how this was accomplished remains unknown, but the dominating hypothesis suggest that a soft cloth was tied around the infant’s head. This type of elongated head has only been found in Sarmatian populations living east of the River Don, including the Southern Ural. The Late Sarmatian culture is strongly associated with the Alans. At the start of the first century AD, the Alans were controlling lands northeast of the Azov Sea, along the River Don. Archaeological material indicate that the Alans were a Iranian-speaking tribe who lived a nomadic life. Somewhere around the mid-1st century AD and 2nd century AD, the Alans started moving into the Sarmatian area, and written sources claim that they ruled the tribal union from this point and until the 4th century AD. Under the Alan leadership, a mighty confederation of tribes was formed that controlled the North Black Sea steppes until the invasion of the Huns in the late 4th century. Most of the Alans were either killed or absorbed by the Huns, but a small number managed to flee and migrated all the way to the shores of Gibraltar.